In case you needed more reasons to start banging on Level 5's door, demanding that they start localizing the 3DS Professor Layton/Ace Attorney crossover THIS VERY INSTANT, here's some screenshots. 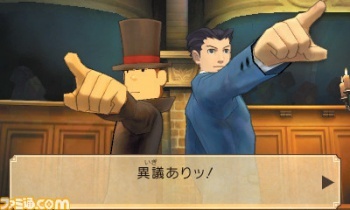 For the uninitiated, the upcoming Professor Layton/Ace Attorney cross over, or as it's called in Japan Layton-kyōju Vs Gyakuten Saiban (literally: "Professor Layton Vs. 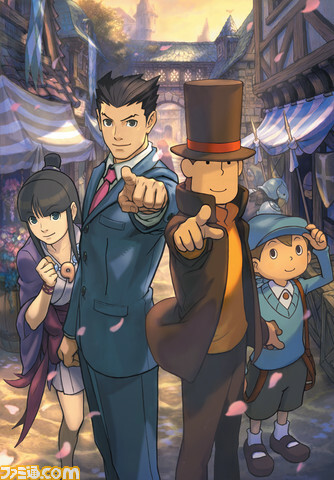 Turnabout Trial"), is, as its title suggests, a peanut-butter-and-jam-style mix of Capcom's Ace Attorney series and Level 5's globe-trotting puzzle franchise Professor Layton. 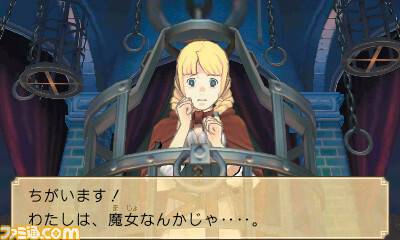 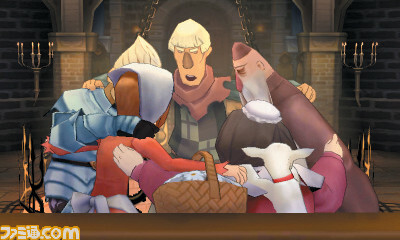 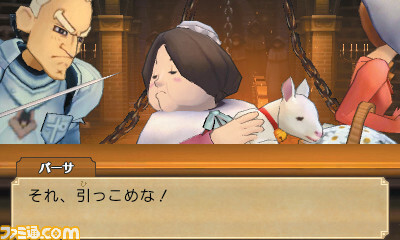 The game sees bumbling defense attorney Phoenix Wright and renowned puzzle-solver and matchstick-arranger Hershel Layton both transported to a medieval city where they must defend a young girl accused of being a witch. 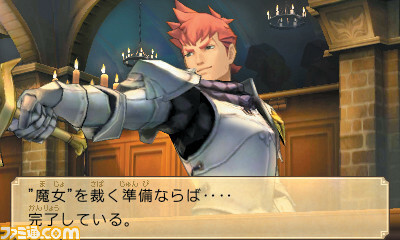 It's got gameplay elements from both its component series and it looks absolutely gorgeous. 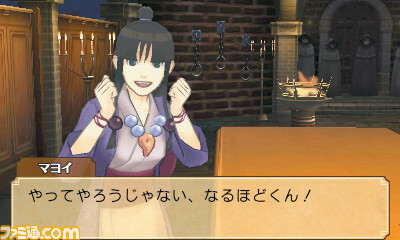 It's a shame Level 5 has "no plans" to release the game anywhere outside of Japan then, isn't it? 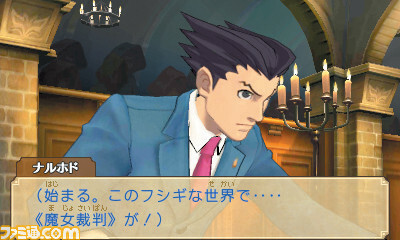 Well, regardless of whether you think Level 5 legitimately has no plans to release the game in the west, or they're just playing hard-to-get to build up anticipation - the recent opening of a Level 5 office in the US and the Facebook poll on which games fans want to see localized seem like big hints - you can now take a peek at what Phoenix, Layton and Layton's dedicated young uh ... sidekick look like in 3D.